People move countries for various reasons and when we do, it is sometimes easier to fit into a new community by loosening ties with our past. Some of us arrived in New Zealand with other Poles, or were born into a Polish community here. For those of us who did not, finding links to our Polish heritage is not always easy. These pages are for those Poles who want to communicate with others. We invite Polish associations to share their details and give us a bit of background. Get in touch with us through the link on our home page. The mission is to inspire Poles and friends of Poland with interest in Polish culture and the history of Polish immigration to New Zealand; to collect and catalogue Polish publications authored by immigrants and to collect and disseminate Polish classical and contemporary literature. Our programme includes publishing less available Polish books. Recently the foundation established the Sygurd Wiśniowski PL-NZ Pen-Club, creating a forum for Polish and New Zealand writers interested in Polish affairs. Established in March 2015, under the patronage of the Polish Ambassador in New Zealand, Zbigniew Gniatkowski, to promote co-operation between businesses in Poland and New Zealand, and to encourage and stimulate interest in trade, investment, and culture. THE AUCKLAND POLISH ASSOCIATION INC.
POLISH HERITAGE ASSOCIATION OF WAIKATO & BAY OF PLENTY INC.
A charitable trust whose members have, since 1999, been restoring the headstones and gravesites damaged by vandalism, prior neglect, and more recently the earthquakes. 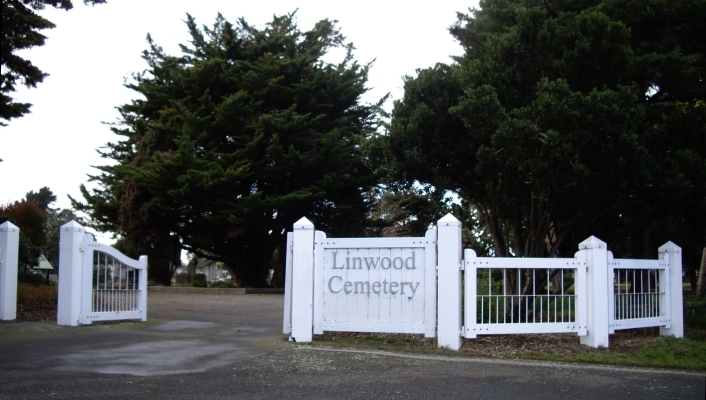 The cemetery entrance is on Butterfield Avenue. It can also be accessed through Bromley Park and McGregors Road.